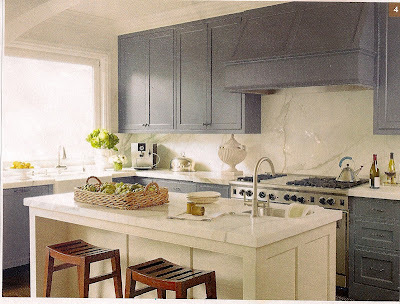 As a longtime NYC resident, when I think of my "dream home" the first space that comes to mind is the kitchen! 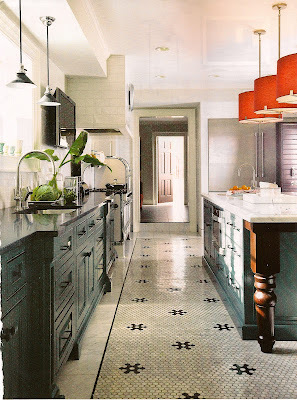 In fact, I say my favorite kitchen is from the film Ratatouille ...crema marfil floors with black cabachons, black stoves with brass detailing, copper pots ...I'm in heaven! 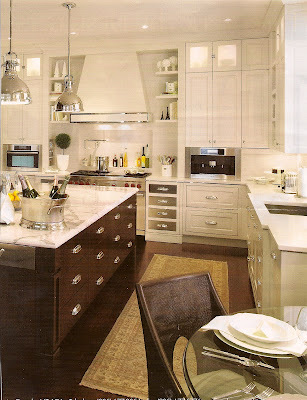 The two kitchens above illustrate quite well how you can mix cabinetry finishes. Having an island allows you the opportunity to make it a focal point of the room by contrasting the finish. 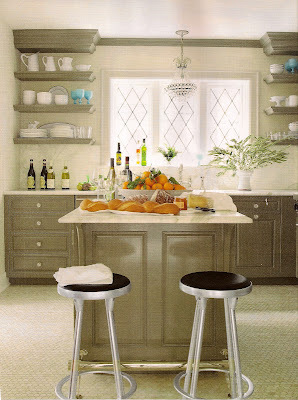 I also love the top concept because there is a small detail I almost always insist upon with the island and that is the overhang where the barstools sit. 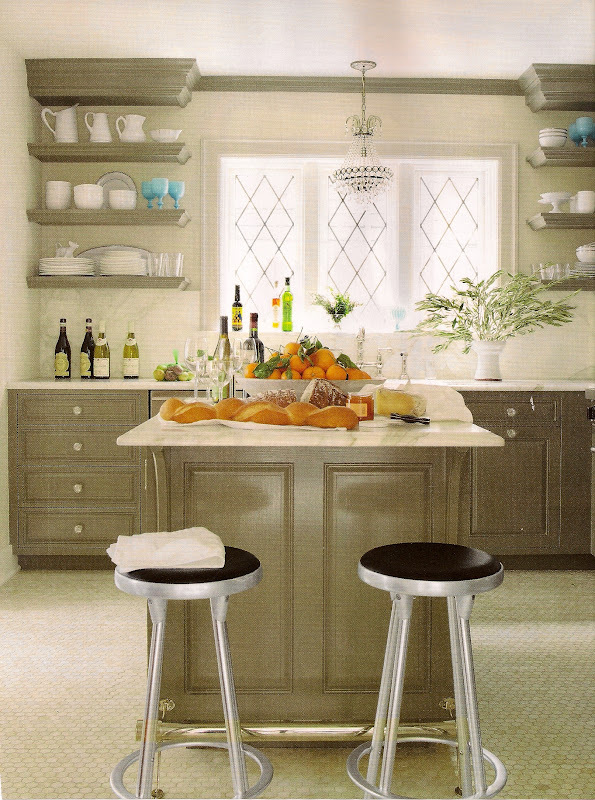 I like that the open space is "boxed in" and the countertop doesn't simply hang over without any wood support underneath ...small detail, but it really helps to clean up the edges, not to mention, help hide the barstools when they're tucked away. The bistro inspired flooring, the dark black millwork, the pop of red ...love it! This is black, gold and carrera marble ...my designer happy place! 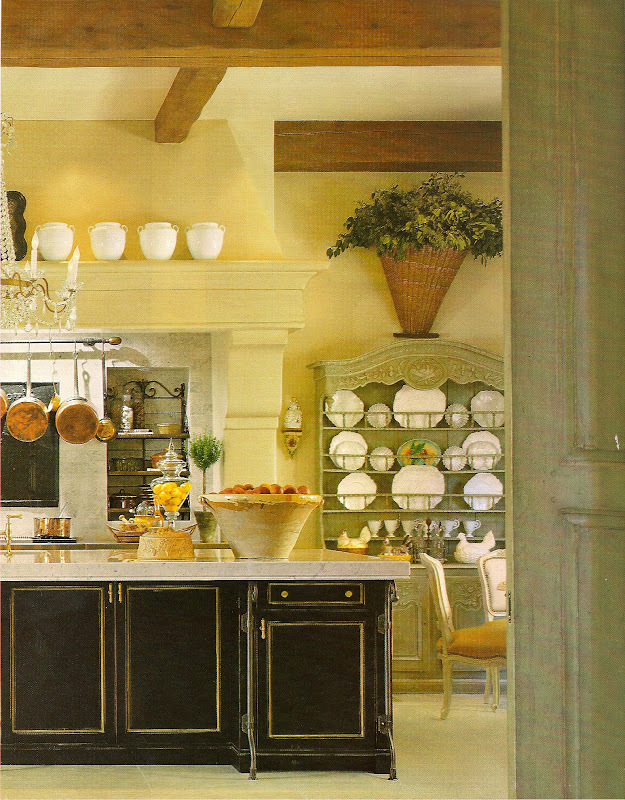 Millwork doesn't have to be closed cabinetry. So many of us have beautiful dinnerware, why not let it be part of the decor? Open shelves are great way to do just that! What are your kitchen daydreams? Send me your thoughts at info@lindsayhairinteriors.com!